It has been a year since we first wrote the 15 Restaurants for Craft Beer in East Texas and 2017 has seen a whirlwind of changes and new comers to the craft beer scene. Some restaurants have faded out of our list, some have closed, and many have gotten better with their exclusive tap list. The restaurant market in Tyler and Longview is growing each year with stiff competition and owners that choose the safe route of sticking with regular beers are being left in the dust by newcomers that understand the impact of a growing craft beer market. In two years, East TX has exploded with a high demand for craft beer that is authentic and not distributor pushed. We have compiled a list of restaurants in East TX that are owned by people that care about both supporting smaller breweries and rewarding loyal customers with fresh rotating craft beer! From its roots in Boulder Colorado, Old C’s has grown into a nationwide franchise focusing on pizza and their famous “World Beer Tour” tap lineups. East TX is lucky to have one in the area and you won’t be disappointed with the bottle and tap selection. You can even check out their website before you go for the latest tappings. One of the highlights of the Old C’s is their window viewing area of the Cellar room for the kegs.. It's as if your a kid again at the aquarium waiting for that rare breed of fish to swim along! From Our Upper Deck | Photo Credits: East Texas Brews. Have you ever wanted to own your own craft beer restaurant and have your favorite bands play in your home town? That's exactly what the owners of Central Station did! With all exclusive Texas only craft beer lineup, Central Station is impressive. The owners have fully embraced the craft beer movement by offering Growlers to go, joining the untappd verified venue, and fully supporting local East TX Breweries. 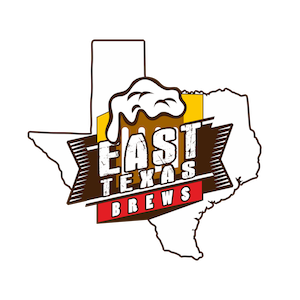 You can go on any day of the week and find at least 10-15 local East TX beers on Tap from ETX Brewing, Fredonia Brewery and Oil Horse Brewing. From their upstairs outdoor patio to their brick oven style pizza, you don't want to miss a week at the Station! Be sure to join them on Thursdays nights for $2 off craft beer specials and check out their weekly music lineups that are always hopping! Checkout their FB page for details and untappd for their beer menu. Make your own taster flights. Pick 4 beers to try, $10.00!!! Caps and Flasks opened in the summer of 2016 by three single mothers that joined forces together to open a craft beer/ pool hall/music venue/ and restaurant! Located conveniently off of I-30, Caps & Flasks is the perfect stop between DFW and Texarkana for travelers looking for craft brews along the way. Known for their rotating 23 draft taps and special cans/bottles, they have a recurring theme on their FB page…”Once the kegs tapped, it's gone!” They have adopted the philosophy of moving their kegs for new one’s to appease their customer craft beer fan base. Visit them next time you're in Sulphur Springs and tell them we sent you! Just tapped at CowBurners BBQ & Taproom: Great Raft Brewing Grace & Grit Community Beer Company Texas Helles Get some!! Cow Burners is the brainchild of Jason Herring- a former employee of Karbach Brewing out of Houston. His roots and love for beer run as deep as his patrons love for his “rib candy”. After perfecting his craft with his father and running a BBQ food truck, he decided it was time to open a BBQ/craft beer restaurant of his own in his hometown, Mineola TX, in the summer of 2017. His expertise in craft beer has made his BBQ joint a must stop; the perfect combination of smoked brisket with a smoked beer, (Brash Brewing) is ridiculously good! Bring your growler next time you're in and take a home a tasty beverage to go along with that Texas BBQ. Silver Grizzly is an authentic coffee shop located in Downtown Longview conveniently across from Oil Horse Brewing Co. Opening in the Fall of 2016, the Grizz has taken off with a local following for their artisan coffee and craft beer selection. Come in for a latte or cold brew and go home with a growler filled of your favorite beer on tap! You can check their verified untappd page for updated menu or FB for special events. Rotolo’s was founded in 1996 in Baton Rouge, LA located next to the LSU campus. From the early beginnings, Rotolo’s has been known for their selection of Craft Beer and supporting local breweries. It has since expanded to other cities across the Country and brought Rotolo’s to Texas with two locations in East TX! Locally owned and operated, the Tyler and Longview stores owners both have a passion for having the best selection of craft beer in the area. You can come on any night of the week and see fellow Brew Krewe members earning points for their next keg party! Follow them on Facebook & Untappd for events. Rose City Draft House was a breath of fresh air when it came upon the craft beer scene in 2015. 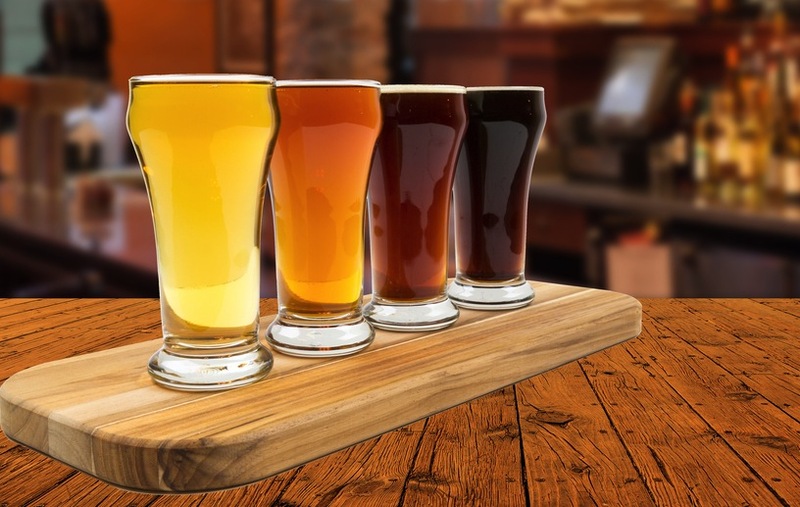 With 57 craft beers on tap, you can surely find any style of beer available. They have daily specials- between Happy Hour from 4-7, $2 off Texas Beers, Trivia & Pint nights, there's always something going on at the Draft House! Finding Fosters Place is like traveling in a desert and stumbling upon a oasis. Located in a rural area by Sulphur Springs, Fosters Place is well worth the exploration to visit on your way from East TX to Dallas. 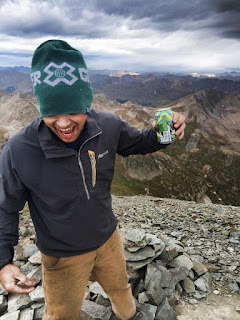 From the $1 ounce pours, to the hard to find craft beers in a congested market, and especially the artistan pizza... Fosters is the place to be! Come enjoy 3 years of Anchor Christmas!! Flight of 3 half pints for $9!!! Located in the Old Palestine area, Pint and Barrel is a family run restaurant that was opened by an employee of Saint Arnold Brewing Co. Conveniently located near the Ben & Keith Distribution Center, the P&B is known for having the hard to find craft beers. The Pub has a great selection of craft beer to choose from and the food selection is priced just right. This Austin influenced establishment opened in 2014 with the vision of a "multi dimensional" restaurant with fine and casual dining. It is the only restaurant that boasts solely Texas craft breweries on tap (20). They were the first restaurant to get True Vine on tap, and are often the first ones to get rare rotating beers from local breweries. Their bar staff are knowledgeable on craft beer selections and are eager to help you find the right one. Stop in next time you're in Tyler and ask for the rare beer of the week! During a busy weekend in SFA country, you can find a hopping spot full of college students and locals at Maklemore’s. Since opening in 2014, Mack’s offers a relaxing hangout spot with an extensive craft beer selection, and bottle cooler is enough to make any grown man weep. You can find a list of their beer menu on Untappd. Stop by on Thursday or Sunday for pint night and you may even catch a few college kids playing guitar. A long time staple of East TX travel centers- Dukes has always been a place to stop while traveling to DFW. A few years ago they did a full renovation and added a full restaurant with a craft beer and sports bar. Known for pint nights, sporting events and craft beer, Dukes also focuses on a world class menu making burgers with fresh meat from local farmers. You can view their tap selection on their untappd page. Stop by next time you need a pit stop and enjoy your fav. sporting event while drinking some craft! Happy Halloween! Come in today during this spooky rainy weather and enjoy the only wine on draft in East Texas and get warm with a big cup of hot local Porch Culture coffee! After a successful venture with Stanley's BBQ, the owners wanted to open a "farm to table" restaurant that focuses on fresh local food, house made infused spirits (barrel aged), fine wines (on tap... a first in East Texas! ), and of course, craft beer! From the fresh pizza to the good folks behind the counter, you don't want miss out on this experience. It truly is a "social kitchen" with delectable pizza and even better beer! You can check their Untappd page for their updated beer menu. You don't have to wait until 5 o'clock to enjoy #NationalIPADay. Celebrate the right way with a pint of BJ's Hopstorm IPA. BJ's is a corporate restaurant that does several things very well... bringing craft brews to the masses! Each state has its own brewery that produces the brews for their restaurants across the state. BJ's hosts several beer pairing dinners through the year that we highly recommend going to. They also recently won 2 awards at the Great American Brew Fest in Denver for their quality beers. Oh, and did we mention the delcious pizza?